Lilly Pilly is one of Australia’s most popular native plants, encompassing a vast group of evergreen rainforest species. Traditionally, Aboriginals would eat the fleshy fruit raw, or make a medicinal pulp to treat sore ears. 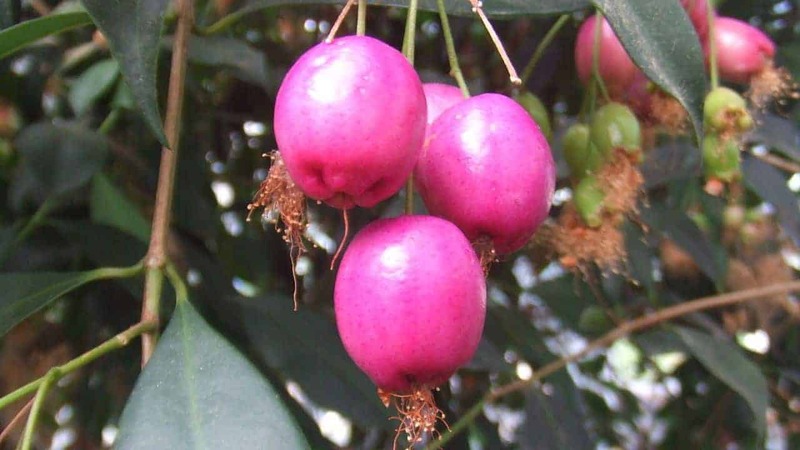 The Blue Lilly Pilly (Syzygium oleosum), also known as blue cherry and scented satinash, produces palatable blue-purple berries that are crunchy and light with a mild sweetness. In the wild, you’ll find these plants around the eastern Australian rainforest regions. Berries start out red and develop blue hues as they ripen. Reaching up to 25mm in diameter, these round fruits grow in small clusters and bear a distinctive cross- or bellybutton-shaped figure at the end. With hints of ginger and lavender flavours, Blue Lilly Pilly berries may be used to make jams, jellies, sauces, syrups, confectionery and wine. They’re also a refreshing Summer treat straight off the tree. 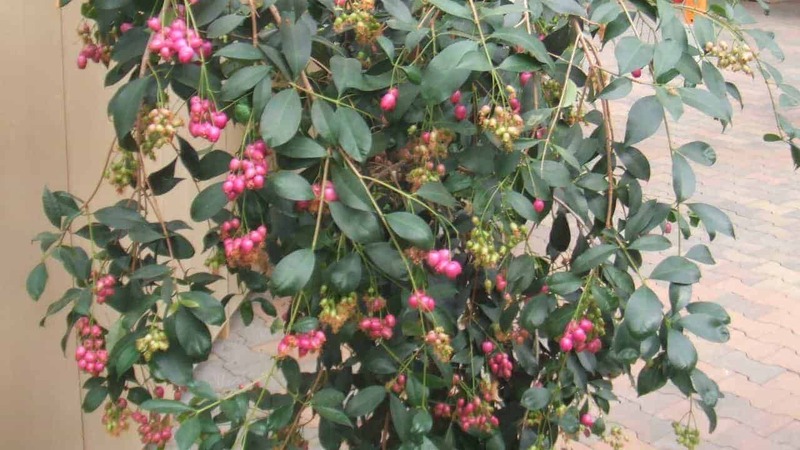 Expect a long flowering season (usually lasting from late Spring to Winter) filled with white-cream flowers that somewhat resemble flowering gums. Once the fruits turn blue or purple, they are ready to harvest by simply plucking them from the branch. Blue Lilly Pilly is a hardy species that will tolerate dry conditions once established. However, as a rainforest plant, it prefers rich, well-drained soils that are kept moist throughout the year. Though a fast grower, its root system is not normally known to be invasive. Grow in full sun or part shade. Their beautiful oval leaves are aromatic, releasing fruity scents when crushed. They’re dark and glossy on top with a pale undersize, making this plant a wonderful addition to an ornamental garden. This tree usually reaches up to 7m in a garden setting, but may be kept at shrub size, pot size or bonsai size with adequate pruning. Dense foliage makes the Blue Lilly Pilly perfect as a screen, windbreak, hedge or shade tree. When should I prune my Blue Lilly Pilly? Blue Lilly Pilly grows fast, but can be easily pruned to maintain a smaller size. Like most evergreen native trees, they may be pruned at any time of year, but for best results, wait until winter (after the fruiting season). What are the round lumps on my Blue Lilly Pilly leaves and branches? How much water does Blue Lilly Pilly need? As a rainforest species, Blue Lilly Pilly does best in moist soil and climate conditions, and will tolerate long dry spells if watered deeply. Be sure to mulch and water well in Summer.